One of my favorite units during the year is our Gingerbread Themed Unit. It is a great start to our Holiday Season with the thought of warm cookies straight out of the oven. We may not have an oven in our classroom to make real cookies, but we sure can pretend! I set up a pretend cookie shop in our dramatic play center and now my students are little bakers!! Pretend Play Cookie Shop perfect for pretend baking during the Holidays! In the Sweet Cookie Shop children can pretend to create frosted sugar cookies, gingerbread cookies and chocolate chip cookies. I like to provide my students with lots of tools for baking and to keep them organized I like to label everything. For the cookies, I used stiff felt and cut them into circles. For the gingerbread cookies I traced a gingerbread cookie cutter and cut them out. To add frosting, I cut circles of different colored felt and added sprinkles with a permanent marker. My kiddos have enjoyed mixing and baking up cookies! Get your preschoolers pretend baking with this fun Cookie Shop for the Dramatic Play Center! 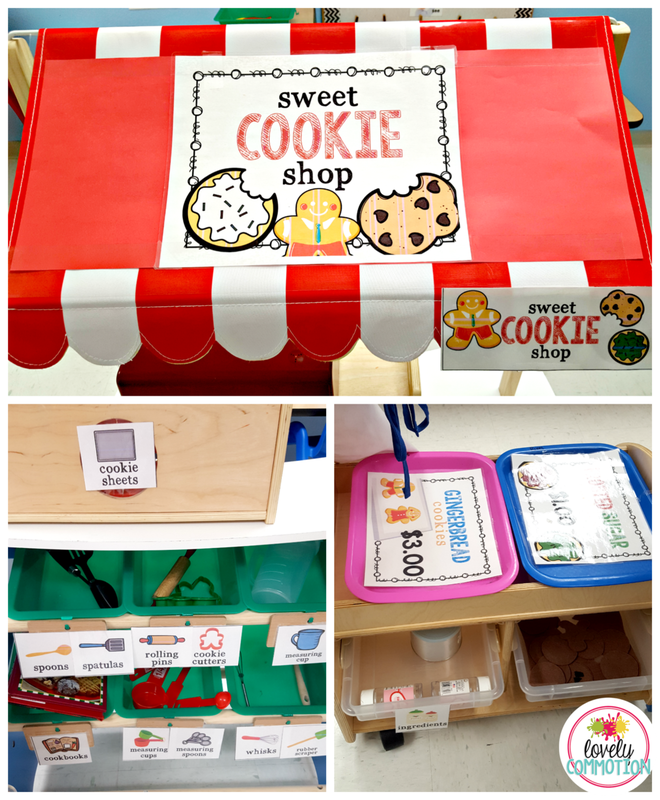 Would you like to set up a Pretend Play Cookie Shop in your classroom? Here is a printable set to help you out! It's time to pick a pumpkin! I set up this Pretend Play Pumpkin Patch for my kiddos to enjoy. It has been one of their favorites so far! This pumpkin patch is perfect for your preschool drama center. It not only encourages creativity and working with peers but there are also gross motor and early writing benefits as well! 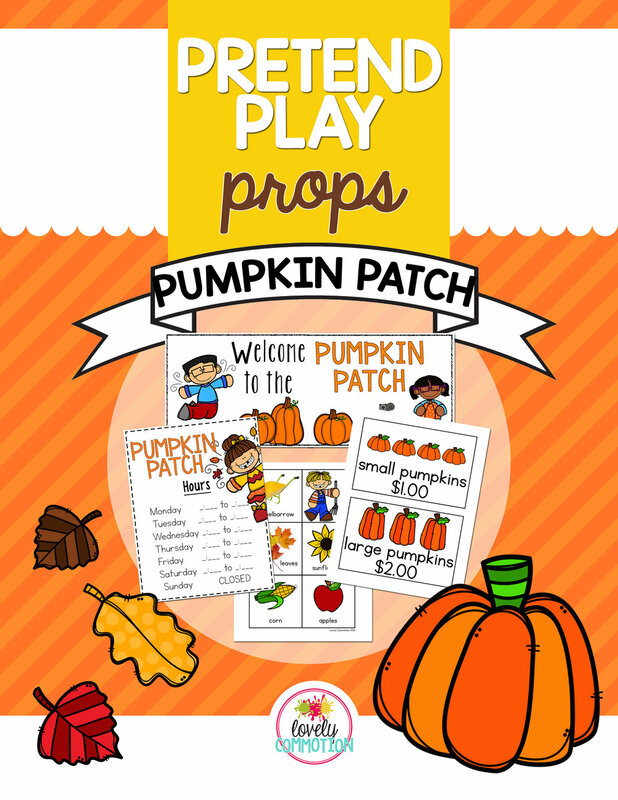 Pretend Play Pumpkin Patch- bring the patch into your preschool classroom easily with these printables! To set the scene, I got a little scarecrow guy from a craft store. I also purchased some ears of fake corn and some artificial sunflowers. To make the small pumpkins, I bought orange gift bags (also from the craft store), filled them with newspaper, tied them off with string and added a green pipe cleaner for a twisty vine. To make the large pumpkins, I bought an orange tablecloth and cut it into large squares (I doubled up the tablecloth to make it more durable) and added newspaper, tied it and added a pipe-cleaner vine. My kiddos loved picking these pumpkins and putting them in the wheelbarrow. Create a pumpkin patch in your dramatic play center! Pretending in preschool encourages social interaction, writing and creative thinking. I also placed artificial leaves (from the Dollar Tree) on our rug. Students used a child-sized plastic rake to rake the leaves. It was loads of fun! Pretend Play Pumpkin Patch is perfect for your preschool drama center. Encourage writing, gross motor and social skills easily with this pack! Pretending is such a creative outlet for our children. They love to do the things that they see us doing. They love to act out scenarios in which they get to be somewhere or someone that they currently are not. So, when I created an Office in our dramatic play center, children were over the moon excited about getting right to 'work'! 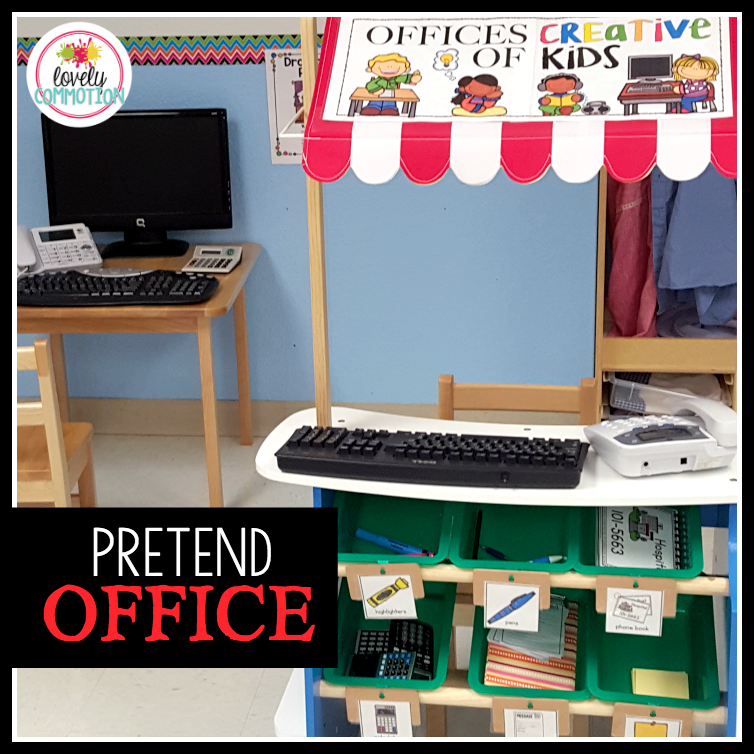 Create a pretend play office in the dramatic play center of your preschool. In our Pretend Office, I set up a computer monitor and keyboard, old school telephones (surprisingly, not one student asked what they were), calculators, message/memo forms, pens, highlighters (for highlighting important messages), a phone book (I made one for us) and sticky notes (because let be honest, what is an office without sticky notes?). This year in our Drama Center I was fortunate enough to get an awesome market stand from Melissa and Doug. I adore it. It will transform into so many different things this year! For the Pretend Office, I used the tubs that were included with the market stand and put the supplies in. That way everything could be organized when it was time to clean up. I also have another small child sized table that I set the computer monitor and another phone on. This Pretend Office was such a hit with students. They loved picking up the phone to talk, writing memos and typing. I loved that they were writing, looking at numbers on the phone and letters on the keyboard! Do you want to create your own Pretend Office area using the printables seen in the picture above? I have put all the printables you need in the Pretend Play Props: Office packet. Hop on over to Teachers Pay Teachers to check it out! 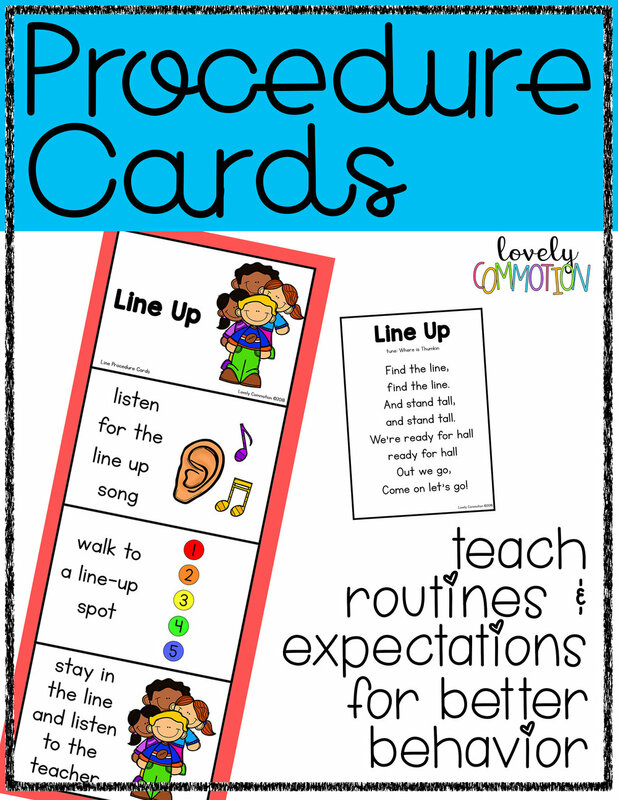 Pretend Play Office Printables for the Preschool Drama Center. 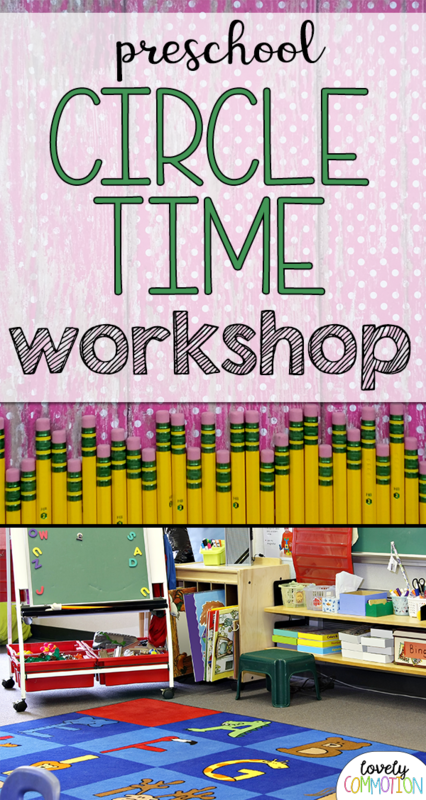 Ideas and resources for a preschool, pre-k or kindergarten Drama center. These are the core materials I like to have in my Drama Center. I change out my drama center every two weeks and create it into something new. Dress Up Area: I have a dress up cart that is awesome for storing dress up items. Depending on the theme of the drama center the clothing in the dress up cart changes. Child-Sized Table and Chairs: Having child sized table and chairs are perfect for using for many of the themes I use. You could also use a child sized picnic table. This table has been a 'desk' during office theme, a 'kitchen table' during our home theme and a workspace for gardening theme. Market Stand: This is my favorite piece in the drama center. It is so versatile! During our airplane theme this stand becomes a ticket counter. During our apple theme the stand becomes a check-out counter. When we had our office theme, this was used as an office cubicle! Kitchen: A play kitchen is conducive to some of the themes we have in our drama center, but not all. For the majority of the themes in our room, the kitchen is not used.